Refined appearance in configuration UI to better match the look of OS X 10.10 Yosemite. Fixed an issue causing a first time installation of Little Snitch to hang under rare circumstances when attempting to restart the computer. Fixed a bug introduced in Little Snitch 3.5 causing "Until Quit" rules to remain enabled after the process quit. Fixed an issue in Network Monitor causing the destination of a connection to be wrongly shown as "0 Servers". Next story Numbers 3.5.2 – Apple’s spreadsheet app from the iWork suite. Previous story Flare 2.1 – Add effects and textures to your photos. Hands Off! 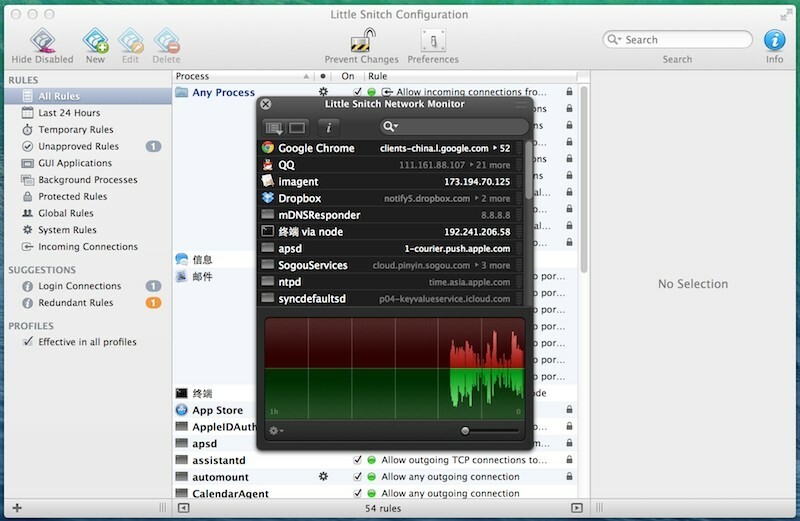 2.1.1 – Monitor and control application access to your network and disks.